Lowdown: The less told story on how a small group of American embassy staff escaped Iran during 1980’s revolution. I have vivid memories of the lengthy American embassy hostages in 1980’s Iran. I remember the deflated mood, I remember people asking why those stupid Iranians got rid of their modern Shah and replaced him with a religious lunatic, and I remember the Israeli boasts along the lines of “we got our hostages out of Entebbe, but those useless Americans can’t equal our heroism”. It’s a pity people at the time couldn’t watch Argo, because it addresses all three arguments. In other words, after Gone Baby Gone and The Town, Ben Affleck proves he’s a mighty director to be reckoned with. 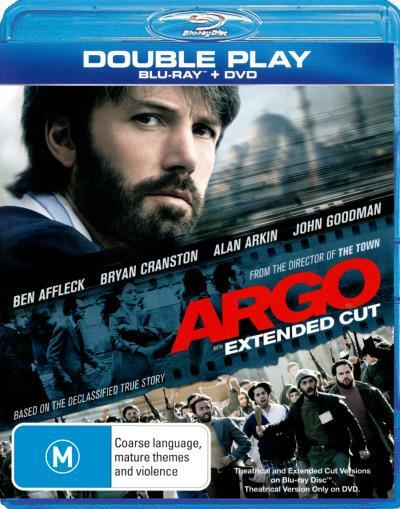 Argo’s story starts with an exposition that provides the historical context of Iran’s revolution. That is, it bluntly tells us, proud Western patriots, that it all came down to oil and greed: the USA installed this puppet of a monarch to ensure it gets Iran’s oil, regardless of what he does to his people. Are we then to complain when the people revolted? I am pretty sure most of this post’s readers will not be aware that this story repeated itself many a time in various locations across the globe, from South America to Europe. Say what you say about the USA, history clearly proves it is not a worldwide distributor of democracy. Following that exposition we get to the thick of the film. The Iranian mob invades the American embassy at Tehran, capturing everyone and holding them hostage for many a month. The exception is a small group of staff that worked at the adjacent visa office and managed to escape by themselves and find shelter with the Canadian ambassador. The catch? How to get them out alive and without putting Canadians at risk. Enter the CIA with all sorts of weird plans demonstrating their professionalism and skill, notably – giving the people bicycles with which to ride all the way to the border. Enter Tony Mendez (Affleck, once again acting in his own movie), who comes up with a much bolder plan: pretend the staff belong to a Canadian movie crew and politely pick them up to the nearest flight out of Iran. To achieve that he needs to establish movie credentials, thus joining forces with Hollywood personas (John Goodman, Alan Arkin) to create the credible production of the science fiction movie Argo, to be filmed at Iran. The rest is one long thrilling ride, told in a very loyal to the period and settings manner. This daring Great Escape tale is quite a pleasure to watch. Oscar deserving? Best film of the year? I don’t know. It's clear that by giving this one the nod, Americans are patting themselves on the back (nothing wrong with that!). It is also clear that a film where the making of a fictitious film gets as far as rescuing people will win a lot of credit with movie industry professionals. I, however, have one major issue with Argo that prevents me from falling down on my knees and worshiping this otherwise marvelous thriller: the very evident way in which thrills are artificially heightened. Argo does its best with its multiple story threads so that one plot line creates extra tension for the next, until they all blow up together at the film’s climax. However, given that Argo’s story is a true one at its core, I find it hard to believe that everything to do with this rescue operation fell on the coin’s right side at exactly the right second. Real life is mighty thrilling, but the chances of such coincidences happening in real life are incredibly small. Overall: A great film that suffers from an overdose of Hollywood artificiality. This could have been a hell of a film were it allowed to be authentic all the way through. 3.5 out of 5 stars.